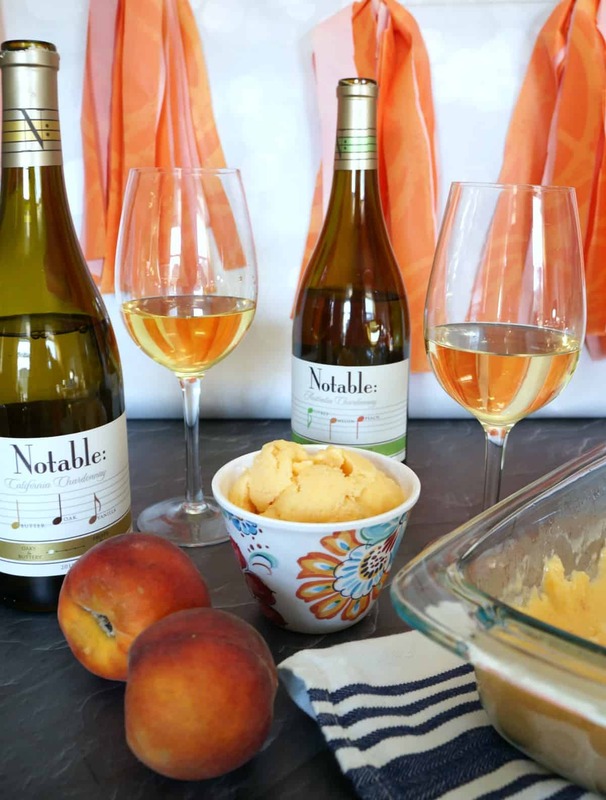 Summer and peaches are a perfect pair, and when you add in delicious wine and good friends you have the perfect summer party. 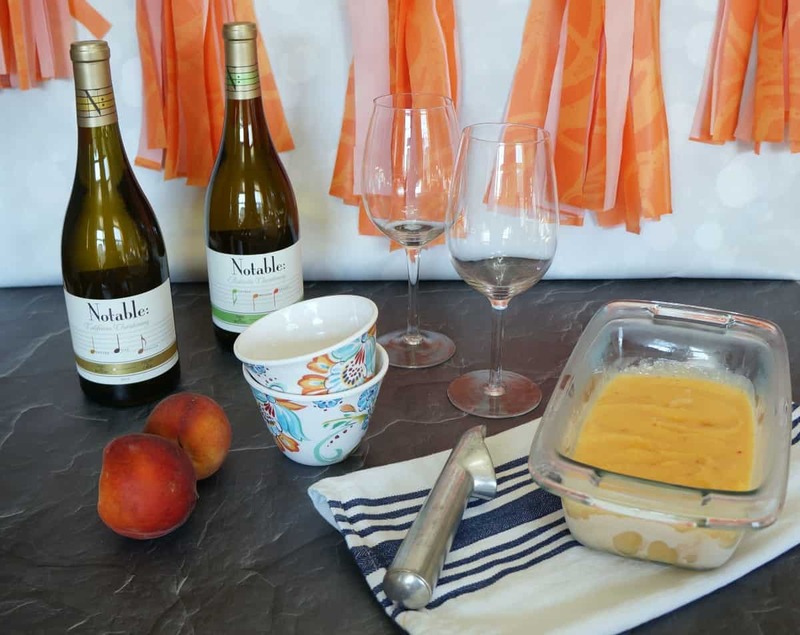 A sophisticated party with food and wine pairings may seem like something you could never pull off but I am sharing tips, a recipe for peach frozen yogurt, and a new wine that will help you throw a fabulous get together with family and friends. A classy summer party starts with a theme. I chose to tie peaches into this little get together. 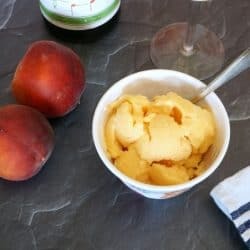 I made an easy peach frozen yogurt, added some simple peach decorations and found a wine that pairs perfectly with this recipe. 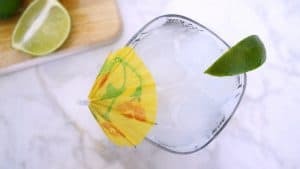 Decorating for a party and even making a new recipe are things we can all pull off, but finding a wine that compliments the food can be overwhelming. The wine aisle at my local store is long and packed with hundreds of bottles. I recently discovered Notable Wines, the first wine that highlights flavor profiles right on the label. Wines vary in style, region, and taste, yet most labels don’t define the flavor you’re about to sip. So when a wine elegantly showcases its taste prominently on the front label, it can lead you to the wine you want. All you have to do is follow the flavor notes! I bought home Notable Oaky & Buttery Chardonnay and Notable Fruity & Crisp Chardonnay for this summer party. Instead of just serving the wine and frozen yogurt to my friends I thought it would be fun to provide a taste of each variety and start a conversation around the flavors. A wine tasting may seem like something only a professional can do, but with Notable you can host your own tasting at home. 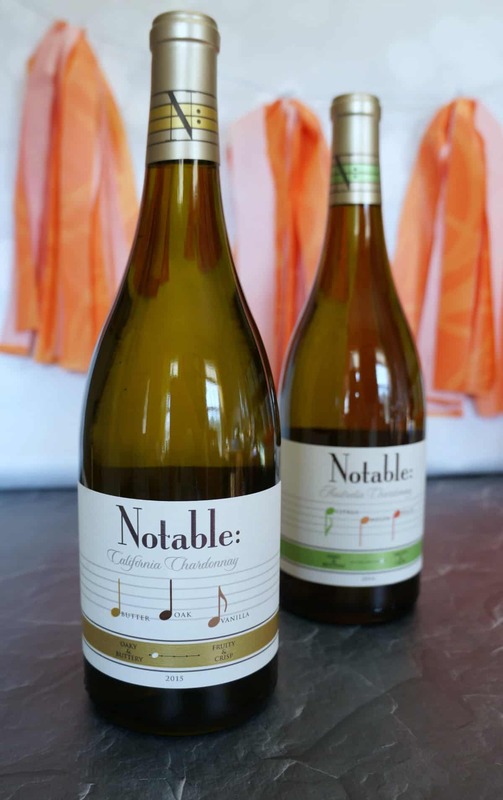 Notable Oaky & Buttery Chardonnay has notes of butter oak and vanilla while Notable Fruity & Crisp Chardonnay features citrus melon and peach. These flavor notes, found on the label, make it easy to host a wine tasting and are wonderful conversation starters. 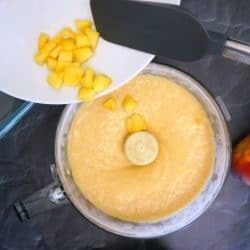 I served homemade peach frozen yogurt in small dishes to my guests along with a glass of each Notable wine. We enjoyed how the flavors played off of each other, it was the perfect compliment to an otherwise low key get together. 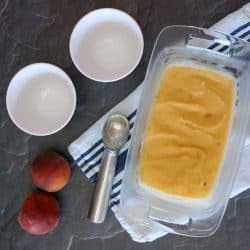 Add frozen peaches, honey, yogurt and lemon juice to a food processor and blend until smooth. 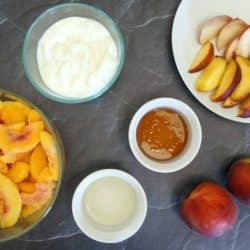 Mix in chopped fresh peaches by hand. Serve immediately for soft serve frozen yogurt or pour into a glass dish and freeze for at least 1 hour. I encourage you to try your hand at a wine tasting party this summer, with Notable you can’t go wrong. 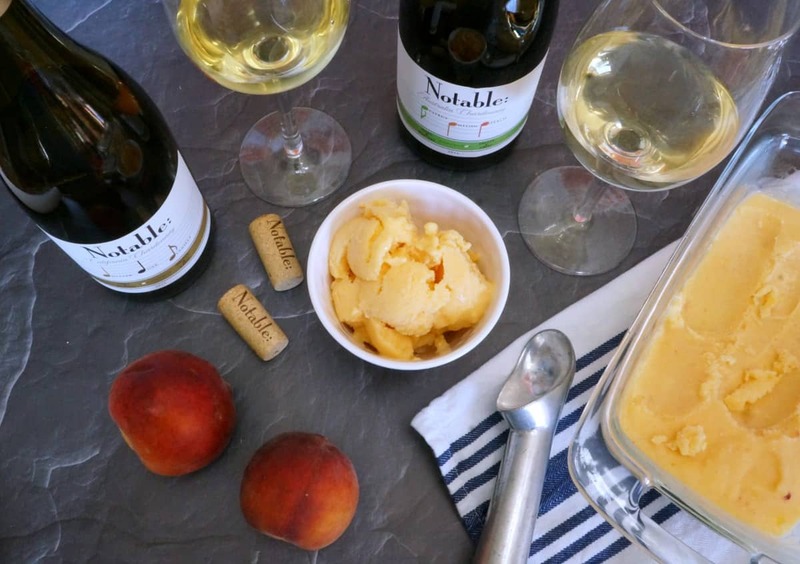 Pair this Chardonnay with peach frozen yogurt or tapas of your choice. Your guests will enjoy tasting and comparing flavors while sampling your delicious food. Tell me, what Notable Chardonnay will you try first? Looks delicious! I love anything frozen. will have to try for sure! This all sounds so yummy can’t wait to try it!